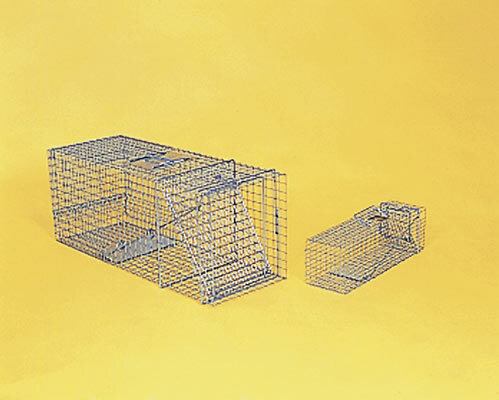 These traps are designed to trap and keep alive all kinds of animals no matter how quick and cunning they seem to be. They are made of heavy duty galvanized wire mesh and reinforced with heavy steel rods. After catching them, escape is impossible because of the innovative design in our door and locking system. Release the animal with ease because the door opens from the outside, eliminating having to reach into the trap. Comes in three different sizes depending on your intentions. What are the dimensions of 5gtxl live trap? 5GTXL - 48"L x 15"W x 22"H - suitable for large dogs, fox, etc. Comes already assembled - approx 28 lbs.